Looking for a very special 5 year anniversary gift? We've got plenty of ideas and inspiration, whether you want to embrace the traditional 5th anniversary "wooden" gift, or just find a really sweet and thoughtful gift. The tradition is to give a "wooden" gift for the 5 year wedding anniversary. The "modern" gift list says it should be silverware. There are also several "Anniversary Flowers by year" lists. For these, Hydrangea and Geraniums are the flowers of choice. And the American Gem Trade Assocation states "Blue Topaz" as the gift to give for your 5th wedding anniversary gift. 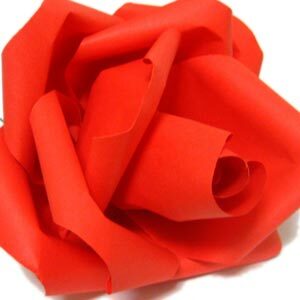 On this page you'll find a range of unique, creative, sentimental, and lovely gift ideas, whether you want to stick with tradition or not. I really hope you find something you like for this significant anniversary! If you want to make a personalized 5 year anniversary gift for your husband or wife on your anniversary, then our range of posters are perfect. *Especially* if you're a bit last-minute, as you can personalize, download, and print at home! We take care of the design and formatting, so all you have to do is think of some nice things to say (it's not too hard, promise!). Your partner will feel so special that you've made something just for them! 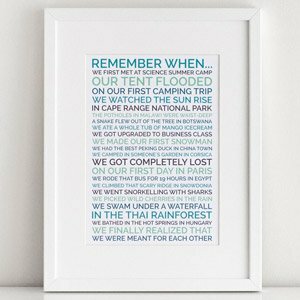 Our "Remember When" poster will let you reminisce over all things you and your partner have done together in your five year of marriage. 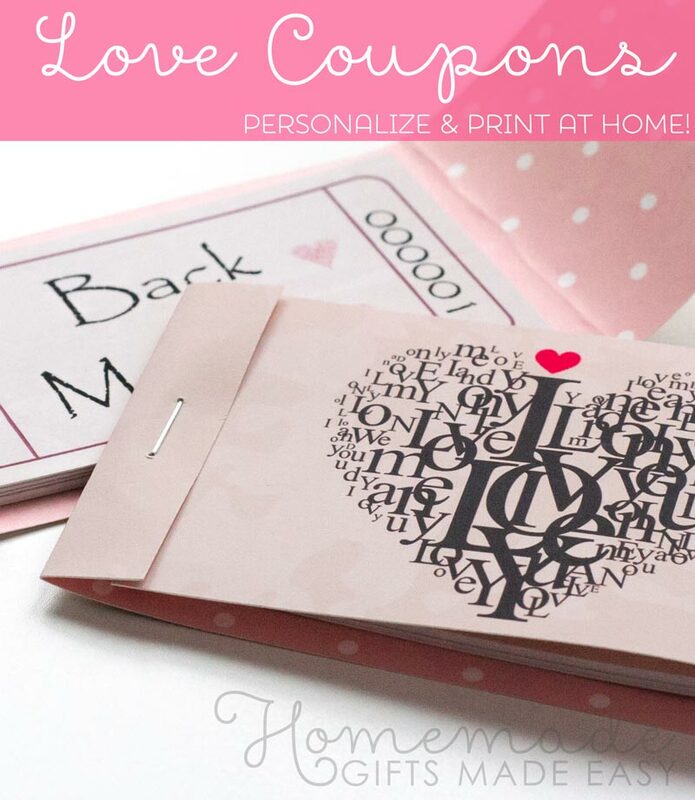 Or make a "We love" poster of all the things you love doing together! The funny, silly, special things that are all unique to you. 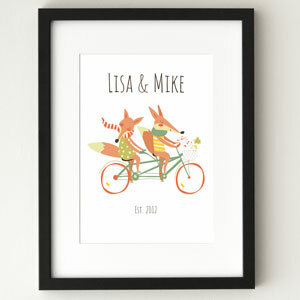 Or our super cute printable foxes poster celebrates all that's great about being part of a fabulous team. Personalize and print out your own definition poster where you can define just why your wife or husband is so fabulous. Or make a poster defining what "love" or "home" means to the two of you. I think this is a particularly creative 5 year anniversary gift as it's so unique to you both. List your relationship alongside all the other "pairs" of characters, people, and things you like or admire with this fun "Perfect Pairs" poster. From food pairs to characters from fiction, it's a lot of fun to think up the pairs that mean to most to you and a unique 5th anniversary gift idea. Some people say, "5 years, wood you believe it?" Corny, I know, but if you're planning to choose something made out of wood for your 5 year anniversary gift then I think it's appropriate! So, what to buy? Here is a brainstorm of ideas we came up with for interesting wood anniversary gifts. Treat them as a starting point, and then you can search online or at a shop near you to find the most appropriate gift. I've included links where I can to Amazon for your convenience. Does your husband rock a beard? Then help him to groom in style with these beautifully made wooden beard combs. For a wood anniversary gift for him that also provides opportunities to spend time together, there are many beautifully presented wooden board games, such as a carved Wooden chess set. If he's into his food, take a look at a Wood-fired pizza oven. My husband suggested this idea, and I'm sure there are many guys out there who'd love to receive this! Plus you benefit from all the delicious food they will cook in it for years to come! 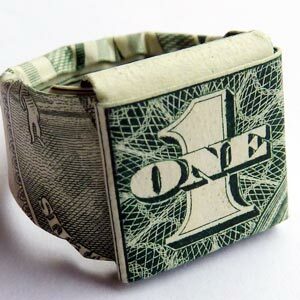 Well there's always "wooden" beads, but if you're looking for a modern and quirky 5 year anniversary gift, then take a look at laser-cut wooden jewelry. There are so many intricate designs possible with this technique to suit whatever your particular tastes might be. From intricate geometric patterns or animal shapes, to anatomically correct hearts! The hearts shown are actually cufflinks, and they're a pretty unique wood anniversary gift for him. For a more traditional take on a wood anniversary gift, buy her a wooden jewelry box. It's a beautiful and practical wood anniversary gift for her to keep and use for many years to come. If you're looking for a home-related gift, then a personalized wooden chopping board or cheese board might be just the thing. You can order these with your family name or an inscription in celebration of your 5 year wedding anniversary. If you're looking for a more personal gift, then make a collage of some photos from throughout your marriage and frame it in a beautiful wooden photo frame. This gift gives a slight nod to the "wood" theme, but is a really thoughtful 5th wedding anniversary gift to receive and will be a lovely memento of the first few years of your marriage. If you're looking for more of a statement gift, then consider a piece of wooden furniture for your 5 year anniversary gift. Perhaps a new bed frame, sideboard, coffee table, dining table, vanity table for their bedroom... there are so many options! A beautiful Wicker Picnic Basket full of lovely food and a bottle of wine for a picnic together is a fantastic 5 year anniversary gift idea. Both for that day, and for creating many more memories in the future. A romantic gift is to buy a wooden candle-holder. You could get one engraved with a personalized message such as "You light up my life". Or find one made out of logs of wood, so it's a bit like sitting by the fire in a log cabin. There are even unique candle holders made out of recycled materials like this curved tea-light holder from an old oak wine barrel. There are so many options depending on your home decor and what your partner enjoys. For an ornamental wood anniversary gift for her, consider Coastal wood art, or home decor made out of driftwood. Or if you want to find a wood wedding anniversary gift that's a little more sentimental, these interlocking wooden statues are very sweet. If you have a large garden you could buy a wooden garden bench, and even have it inscribed with a sweet message in recognition of your 5th wedding anniversary. It's such a practical gift too! Another great garden gift would be to plant a tree together, which you can then watch grow over the years. This is a lovely wedding anniversary gift idea particularly if you're in your "forever" home and not anticipating moving anytime soon! If you live in a small apartment, you could buy a little bonsai tree instead! Make a "family tree" of your family. You can buy family tree photo frames, and you slot in the photos of your immediate family and the extended members. Or buy or make a personalized print of your family-tree. For a lovely "wood-themed" gift, organise a walk in the woods together, and stay overnight in a wood-cabin. So romantic! If you have a large enough yard, arrange a bonfire night in your yard with friends and family to celebrate your anniversary and tell your husband or wife how they "light up your life". Looking for more 5 year anniversary gift ideas? Aside from a bunch of flowers and a nice dinner out, here are some more gift ideas to inspire you. The gemstone to give at your 5 year anniversary is blue topaz. It's a beautiful vibrant color and looks lovely set in pendants, earrings, rings, and more! The traditional 5 year anniversary flower is the Hydrangea or Geranium. If your partner is a keen gardener, you could buy them a beautiful plant for their garden. Another idea is to buy a framed hydrangea or geranium botanical print. From illustrated prints on funky backgrounds (the one above is a watercolor on dictionary paper), to a more traditional botanical sketch, there are lots of possibilities. A photo-book of the first 5 years of your marriage makes a wonderful 5 year anniversary gift. You could start with a favorite photo or two from your wedding day, and then include photos from your honeymoon, of your house together, any special trips you've done, just hanging out at home. Try to include key events over the years - holidays, children, pets, houses, cars. It's a lovely momento for your partner and you to look through and reflect on all the things you've done together! There are so many online services that you can use to design and print your book. Or you can do a scrapbook and include written notes and other tickets/mementos from the year too. This idea takes a bit of time to make, but it is a great one for those of you who are organised to do it in time! 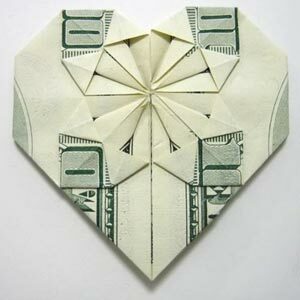 An "easy" 5 year anniversary gift could be to give your other half some beautifully folded money and tell them you're taking them out for a day of fun - whether that's to the mall, or to a bar dancing, or out to dinner, whatever suits their style. It's a thoughtful way to give a gift where the receiver can still choose the actual gift themselves. These designs are not difficult to do, and have video and step-by-step photo instructions. Give it a try! It's a great option for a last minute 5 year anniversary gift. Apart from "5 years, wood you believe it? ", there are a lot of ways to wish your partner a happy 5th wedding anniversary! We have a lovely collection of Anniversary Wishes, Messages, and Greetings to help get you started. Our collection of Wedding Anniversary Quotes and Sayings can help you express your love and thanks on such a special occasion. Grouped into categories so it's easier to find the perfect quote, they're great for writing in a card or including in an anniversary speech. We also have a collection of Wedding Anniversary Poems and Verses, which are a really romantic way to express your love on your anniversary. From short verses and poems, to longer poems, you'll find something poetic to express your feelings about this special day. We hope you enjoyed these unique 5 year anniversary gift ideas, and that you've found something special you can make for your husband or wife. Do check out our homemade Valentine gifts page for more craft-based "homemade" romantic gift ideas, and there are plenty of general gifts and quotes on our homemade boyfriend gifts page too.